It is a Corus syndrome. 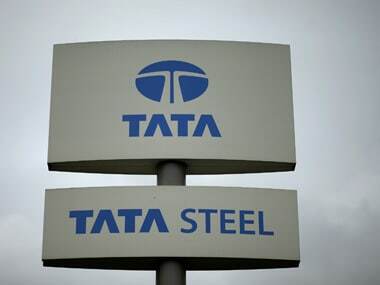 After the supremely forgettable acquisition by Tata Steel of the UK steel maker, every deal that is leveraged on debt has become the subject of investor angst. Apollo Tyre's acquisition of Cooper Tire was no different. On June 12, the day the deal was announced (after market hours) the stock closed on the NSE at Rs 91.95. Reacting to the news, the investors pummelled the stock as they were worried that the leveraged buyout will dent the company's financial strength. Over the next few days-until hopes emerged that the deal may not materialise-the stock remained under pressure. It hit a low of Rs 54.60 on 21 June. No wonder, investors are cheering the collapse of the deal today, despite the chances of a penalty being imposed on the company if the court rules in favour of Cooper which is seeking damages from Apollo. 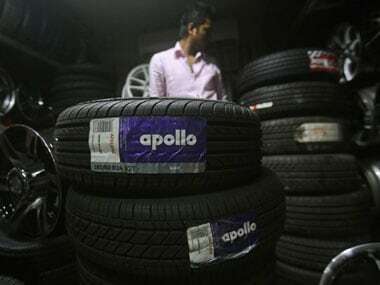 On the NSE, Apollo Tyres shares are up 4.2 percent at Rs 105.60. - In June 2013, India's second largest tyre maker by market value, Apollo Tyres, agreed to buy US-based Cooper Tire and Rubber Co. for an estimated $2.5 billion. Apollo was to pay $35 per share of the NYSE listed company. The deal would give the Indian company access to the US and Chinese and make it the seventh largest tyre manufacturer in the world. - Troubles soon began with the United Steelworkers union (USW), that represented 2,500 Cooper employees, arguing that it had a right to approve any change in ownership. It tried to renegotiate contracts with ATL, according to the New York Times. - USW resorted to arbitration proceedings to protect the interest of its members, and received an award in its favour in September, ordering Apollo Tyres to reach collective bargaining agreements. While agreeing to negotiations with the union, Apollo Tyres asked for a $9 discount per Cooper share, as the labour disputes created unforeseen delays. - Cooper's joint venture in China, Cooper Chengshan Tire (CCT), created additional problems when factory staff cut production in protest to the Apollo deal. The refusal of local management to work with Cooper meant the US company was unable to provide clear financial statements to Apollo's satisfaction. 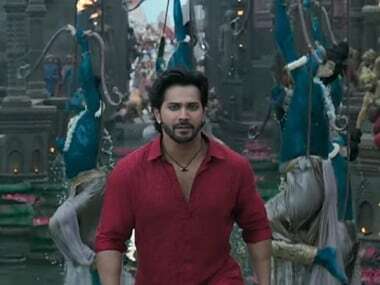 - Reasons for the China fiasco ranged from fear of mismanagement by Indians ( According to the NYT,CCT placed an ad in The Wall Street Journal saying, "Who can guarantee the success of integration between Chinese culture and Indian culture?") to wanting to milk as much as they could out of the deal. - Last month, the Delaware Supreme Court ruled in favour of the Indian company, stating it had not reneged on contractual obligations. - On December 30, Cooper Tire called off the deal after receiving information from Apollo tyres that financing for the deal was no longer available. - "Avoiding leveraged buyout and paying a penalty will not dent investors' sentiment," said Basudeb Banerjee of Quant Broking on CNBC-TV18. Moreover, Apollo already has got a favourable verdict from the court that the company had not breached its obligations. - ICICI Direct also sees the termination of the deal as a positive for Apollo. "...The debt overhang over the deal had become highly bitter due to lack of trust between managements. Now we believe the stock will run back as per fundamentals though we still await the judgement from Sam Glasscock III on remaining issues," the brokerage said in a note. It has a buy rating on the stock and has raised the target price for the stock to Rs 119. - Kotak Institutional Equities too has upgraded the stock to 'buy' and raised the target price to Rs 125. Expressing surprise over Cooper's decision to call off the deal just a day ahead of the deadline, the brokerage, however, said Apollo Tyres has lost investor confidence. "Apollo Tyres has lost significant credibility with investors on account of its 'excessive risk taking' in the Cooper deal. It will take time before earlier credibility is restored. 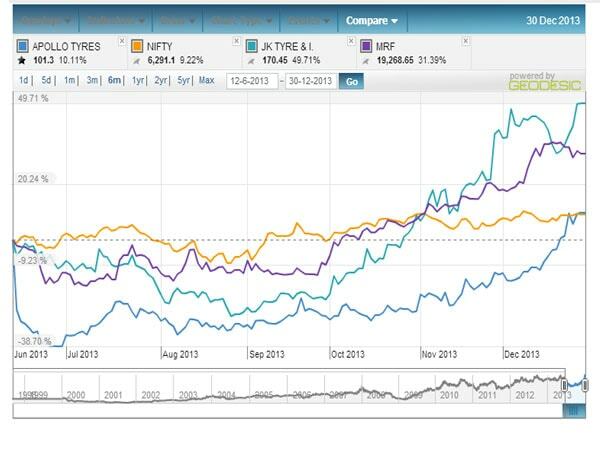 Hence, in our view, Apollo Tyres will quote at a discount to its earlier valuation multiples," it said. The brokerage has not factored in any damages yet in the target price, but it sees $50 million damage taking Rs 6.2 off its target price for the stock.